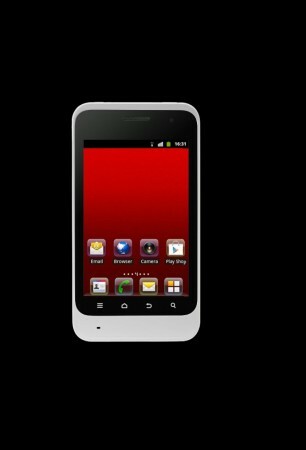 The ZTE Kis is a budget phone currently on Virgin Mobile and ready for Christmas they are announcing a festive version. In White of course. 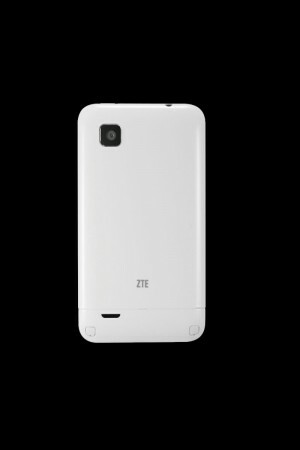 ZTE today launched its record-breaking Kis smartphone in white. The handset will be available on Virgin Media in a white finish, as well as the original black, on Wednesday, October 24 th . The new white Kis specs include a 3.5 inch touch screen, an 800MHz processor, a 3.2-megapixel camera with autofocus and a 2GB micro SD card. Virgin Media is now offering both colours for just £49.99* plus 12 months free data** worth up to £60. Although there isn’t anywhere on their site yet. Hopefully tomorrow the Virgin site will update. It’s a pretty basic phone at a budget price, but if you want an emergency phone to keep in your bag then this would be ideal. 23 October 2012, London, UK – ZTE Corporation (“ZTE”) (H share stock code: 0763.HK / A share stock code: 000063.SZ), a leading global provider of telecommunications equipment, network solutions and mobile devices, today launched its record-breaking Kis smartphone in white. Just in time for Christmas, this hugely successful feature-packed handset will be available in a crisp snow white finish, as well as the original black, on Wednesday, October 24 th . Everyone enjoys a kiss at Christmas and now PAYG customers can pucker up for a handset that’s more stylish than ever and still packed with the same incredible features including a 3.5 inch touch screen, an 800MHz processor, a 3.2-megapixel camera with autofocus and a 2GB micro SD card. Having exclusively launched the ZTE Kis in June this year, Virgin Media is now offering both colours for just £49.99* plus 12 months free data** for all of its PAYG customers worth up to £60. “Given our successful track record of mobile launches with Virgin Media, we wanted to develop our relationship with them by introducing another exclusive smartphone – the ZTE Kis in white. 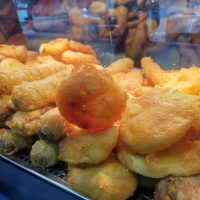 It is targeted at young, style-conscious people, who want the rich functionality of an Android device for an affordable price,” said Chris Edwards, European Marketing and Business Development Director, ZTE. The ZTE Kis handset will be available at Virgin Media in store, online and through telesales from 24 th October 2012. ZTE previously partnered with Virgin Media to launch the ZTE Tania Windows Phone, the ZTE Grand X Android smartphone and the ZTE Kis in black earlier this year.